The areas around Tulamben and Amed on the north east coast are quite different to the rest of Bali. With Mount Agung in the background, the surrounding countryside is dry and offers a different landscape to that in the south. These are very quiet centres where the focus is on diving, snorkelling or simply relaxing. Remember that in your Dive Safari package or Holiday Package, you will benefit from the special Amed and Tulamben Hotels & Resort rates we receive. Below are samples of the type of accommodation we can arrange for you. The hotels we have listed all have AC, hot/cold water and swimming pools unless otherwise stated. Of course this is not a complete list, nor does it represent the full range of hotel styles and levels of accommodation available in the Amed and Tulmaben areas of north east Bali. Let us know what you are seeking and we’ll make recommendations for you. This new resort is ideally located on the water’s edge; simply walk to the bottom of the garden for the entry point to the USAT Liberty Shipwreck. 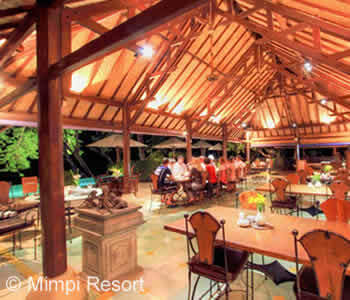 Accommodation is spacious and there is a very relaxed feeling at the resort. 9 huge bungalows with ocean views. Good value and great location. 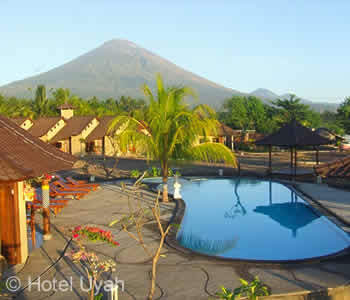 A long established resort located at the southern end of Tulamben Bay near the entry point for the Drop-Off. Well established gardens extend to the sea wall. 27 accommodation units in Patio Rooms, Deluxe and Ocean View Cottages. We recommend the Deluxe Cottages. A backpacker option for those who are seeking basic accommodation. You can walk straight out of Paradise to dive/snorkel in the Coral Garden. 32 Rooms with choice of AC/Hot Water, Fan/Hot Water or Fan/Cold Water. New pool! 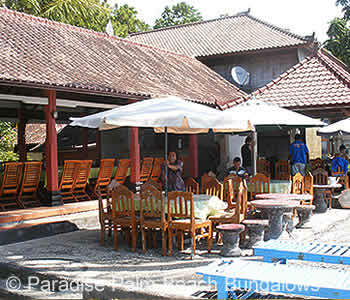 The original Tulamben divers’ accommodation. 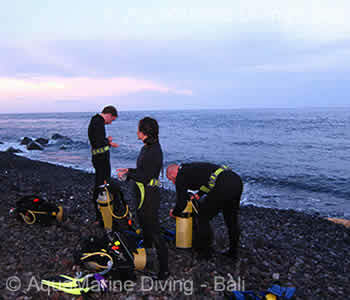 This small, eco friendly hotel on the edge of Amed village is the ideal location for diving along the Amed coast. The entry point for Ghost Bay is right front of the hotel, with other dive sites close by. Two swimming pools. 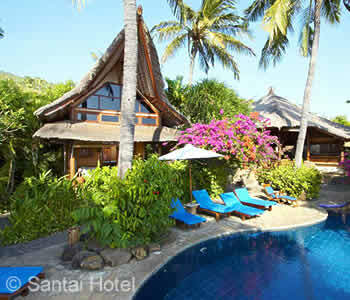 16 (attached) Bungalows and 1 Family Villa. Salt panning demonstrations; solar-heated water. A small hotel on the water’s edge. Thatched buildings, utilising local materials, are clustered around the pool. 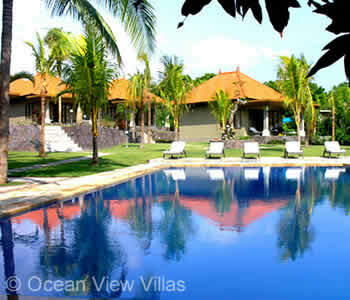 4 Rooms and 6 Bungalows with choice of garden or ocean views.